In space, you can’t just nip out to the market every time you need a head of lettuce or some basil. That’s why NASA has developed plenty of ingenious space gardening concepts over the years. This one in particular is a hydroponic wheel developed in the 1980s but never actually put into use. Milan design studio DesignLibero didn’t want the impressive technology to go to waste, so they took NASA’s idea and fleshed it out for use here on Earth. The Ferris wheel-type design is called Green Wheel. It isn’t just a novelty like astronaut ice cream, either – it is a pretty darn smart way to grow plants even when you aren’t hurtling through space. The wheel holds over 8 feet of plants, which is a lot more than you could grow in a footprint this small using traditional pots and planters. 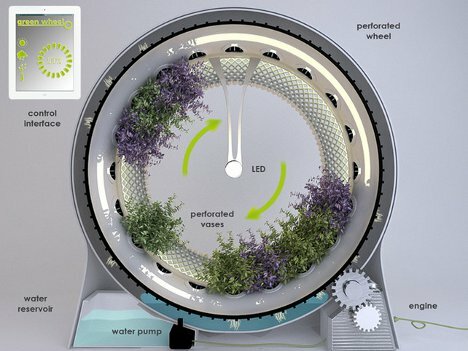 It works by essentially spinning the plants around and dipping the roots of each into a water reservoir in turn. 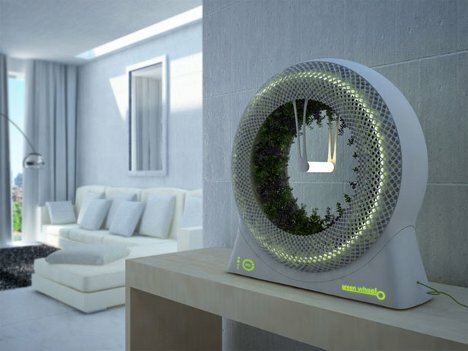 The plants are held securely in place by chambers inside the inner wheel. 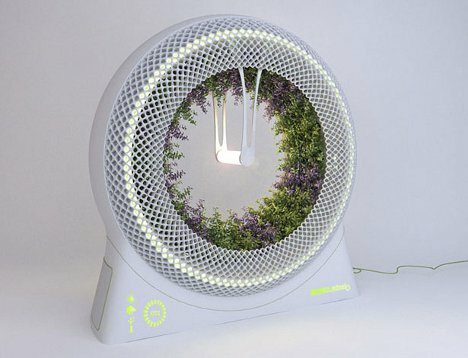 A plant light in the center lights all of the plants evenly as they orbit it again and again. The setup saves energy in spades since an equal number of plants in pots would require two or three grow lights. Of course, because the world runs on mobile phones these days, there is an app that allows you to control everything about the Green Wheel remotely. The speed of rotation, the strength of the light, water level and temperature are all within your command. 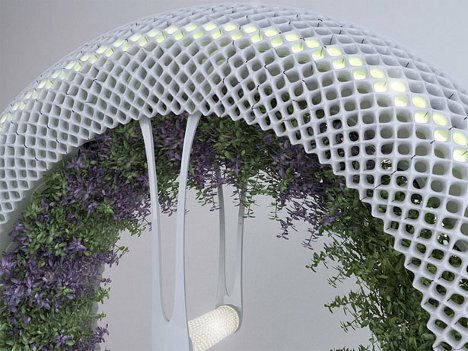 Whether this apartment-ready garden will ever be available commercially seems to be up in the air, but we’re crossing our fingers. See more in Unbuilt Concepts or under Technology. May, 2012.